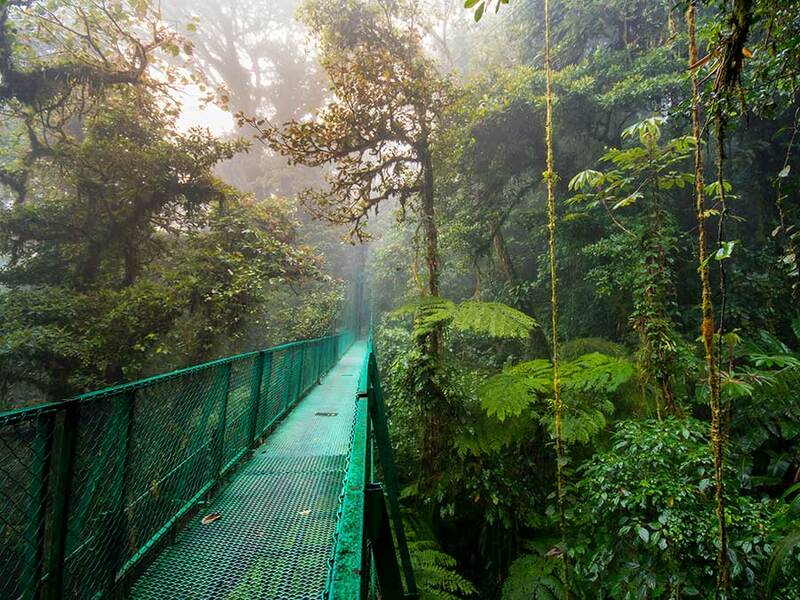 Monteverde Region in Costa Rica is one of the favorites among travelers from all over the World. Its magical evergreen forests, its fantastic diversity and the fact that lies right between the two oceans, makes it a place none wants to miss. 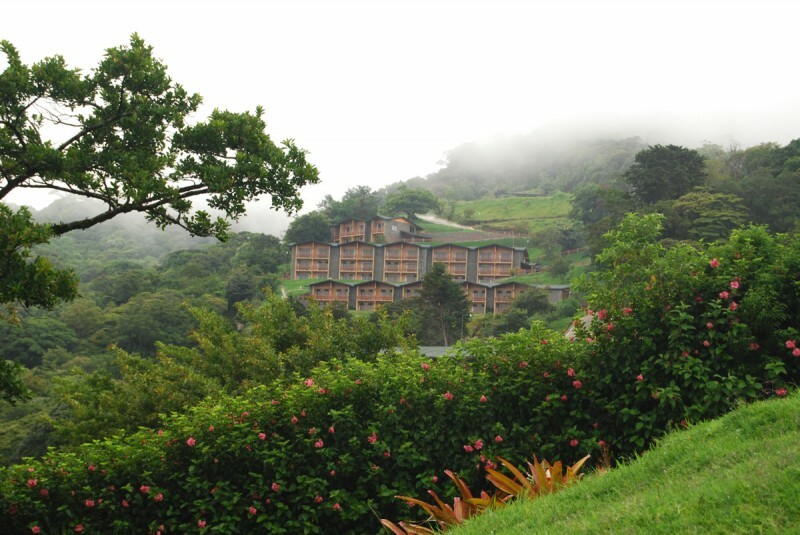 Monteverde Region is a perfect nature lovers destination. 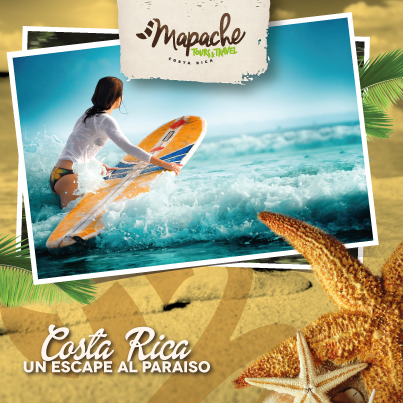 It’s luscious green all year round, has beautiful weather, breathtaking landscapes and great diversity, not only in nature but in activities and accommodations. There is something for everyone, from affordable hostels to charming high-end hotels from mild walks to extreme adventure. All paladars will be pleased. Monteverde has a different aspect, in its past from the rest of the country as it was found in the 1950s by a group of Quaker families that came to hide away from the Corea war and the consequences to their resistance to it. 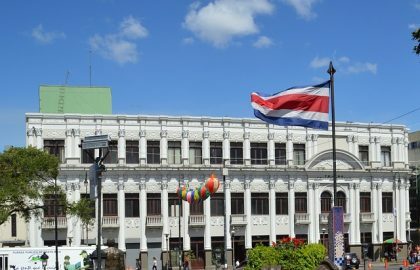 Costa Rica had recently abolished its army and was a beautiful and fertile little haven. 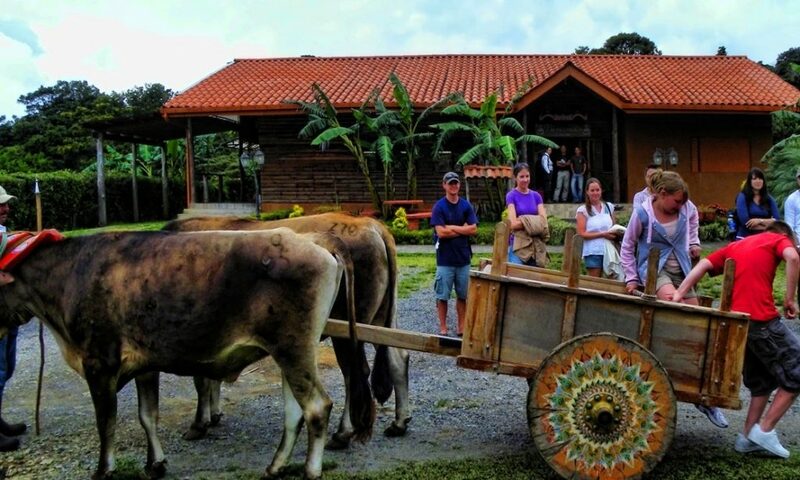 In Costa Rica they found Monteverde, A 1400 HA area where they started the community, their dairy farms, the -nowadays famous- cheese factory and a big chunk of the region was turned into a preserve to keep the water for their community. San José Airport is 133.96 km/ 83.24 mi away, and without any problems, it takes a bit more than two hours and a half to go from the SJO Airport to the small town of Santa Elena in Monteverde Region. LIR, the Liberia Airport is 76.2 km, 47.35 miles away, and if you don’t find any problems en route, it takes a bit less than from San José: two hours, average. All of them are quite a picturesque treat! All of them will give you a couple of car shakes, and, in both on a good rainy day, a low vehicle can easily get stuck. The routes to Monteverde have always been polemic. Also, it has a lot to do with its history. If you saw the video, you will know that the Quakers primal goal was to grow their children and live in peace. And for many years the Monteverde Region was kept isolated from the World. 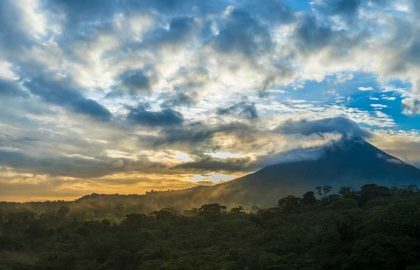 When Costa Rica was discovered by the travel industry one of the first destinations to accommodate travelers was actually Monteverde. 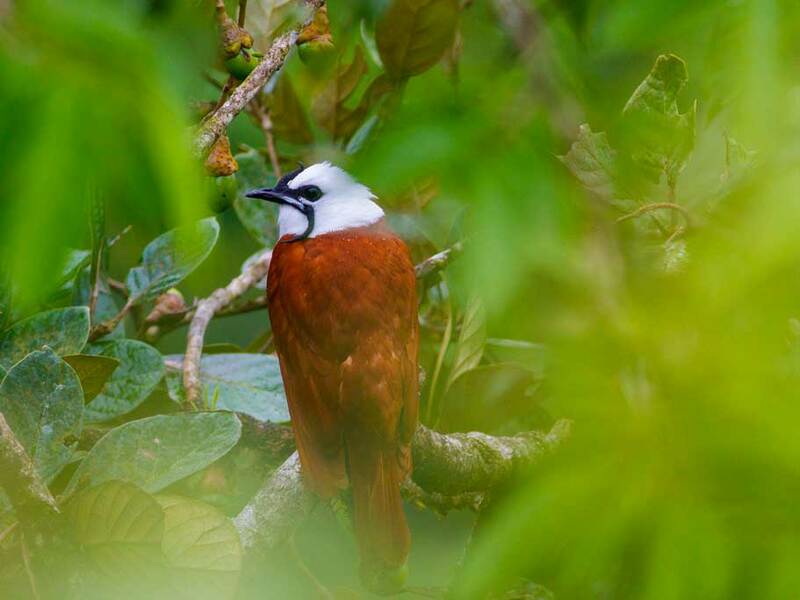 However, the beauty of the area, its fantastic cloud and rainforests, its impressive diversity and beautiful weather created a demand for hotels and activities. And balance was necessary for the community. So they decided for decades that they would keep the dirt roads access and not pave it so that, the big tourist’s groups wouldn’t come and the tranquility was kept forever. So then, the roads to access the Monteverde Region, are bad. Basically. For now, at least. The community decided to pave one of the accesses, and it is slowly advancing. However different natural phenomena have affected the waited paving of the route. The good news though is that already in the Monteverde Region the road system is paved in its great majority. Important to say that it doesn’t have a local airport. And that there is a third route coming from Arenal that it’s also in the same conditions. Monteverde is chillier opposed to the lower regions of Costa Rica as it is about 4900 ft/1500 meters above sea level. 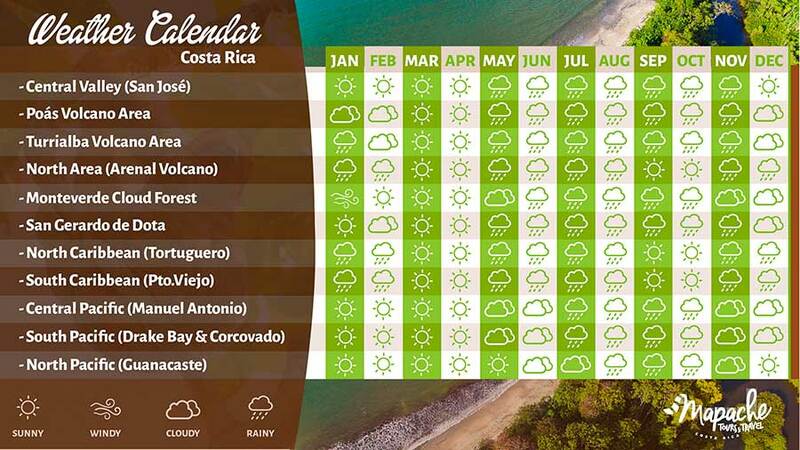 (Find here about the weather and seasons of Costa Rica) also, you can also check the graphic below to see the rainiest, windiest and sunniest months in this magnificent region of the tropics. The best way to describe it though would be as inconstant. So the only accurate phrase is “I don’t know.” In one hour, (sometimes less) you can go from chilly to hot, and from a dry blue sky to a misty and foggy landscape. Pelo de Gato is the Costa Rican name for the fine spray that often can be observed in Monteverde, sometimes at the same time the sun is blazing: which of course, leads to magical rainbows! 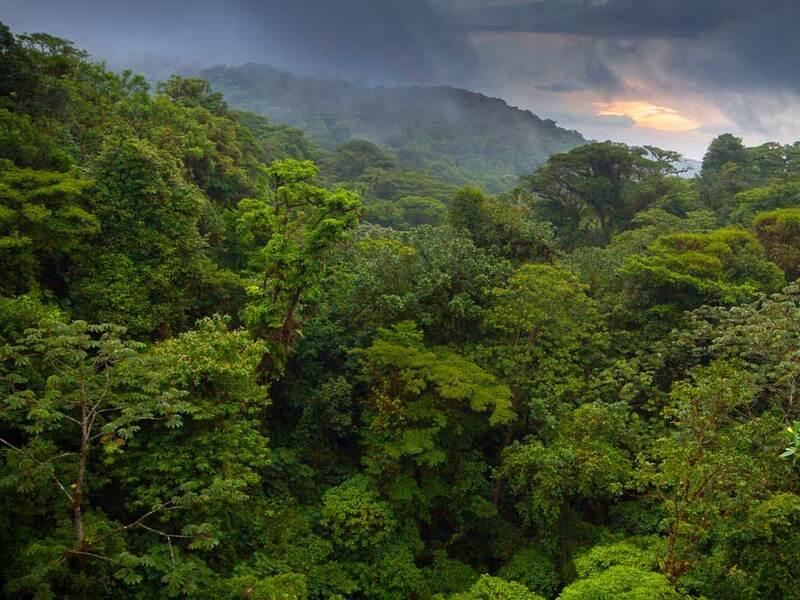 The Monteverde Region climate is affected by many factors, such as El Niño, the Caribbean hurricanes and storms and the droughts of the Pacific side, its topography, and the wind. Therefore, it is tough to predict. 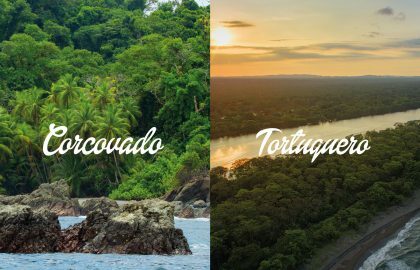 In the Monteverde Region, you will find all sorts of accommodations, from luxurious tiny boutique hotels to big resorts with all the needed amenities to small hostels with shared bathrooms. Probably the favorite accommodations are still the ones that somehow are connected with the Quakers families. You will also find that some hotels will highlight their location to be near to everything. Although some of them will be closer to nature and far away (Up to a half hour drive) from all the activities and hassle of a touristic town. Ask our travel consultants about what’s best for you regarding your budget and travel goals. 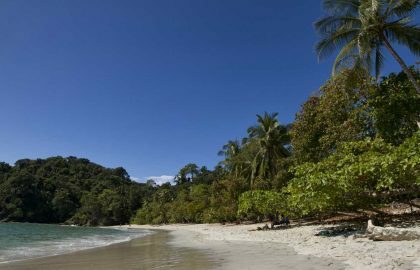 This is a place where you will find everything that can be done in a rainforest except for rafting. 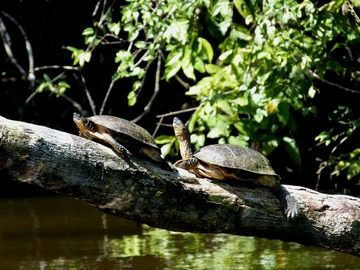 It is ideal for any nature lover definitely, but you will also find educational options and a vast array of possibilities in the adventure section. 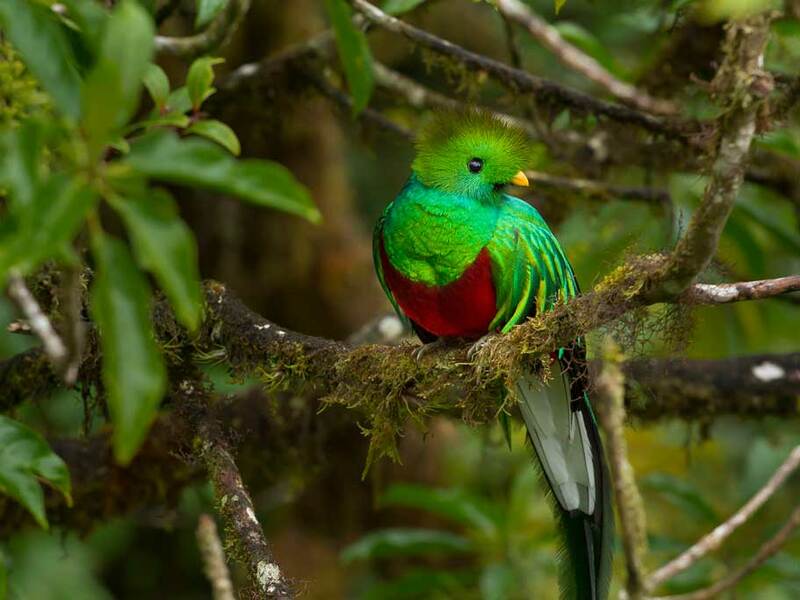 Monteverde is ideal for rain and cloud forest walks, bird watching, night walks, and wildlife sightings as well as you will find fantastic hummingbird galleries, magnificent butterfly gardens, insectariums and frog ponds where to watch the beautiful diversity of this magical place. You can find from briefings with the old Quakers to tours in farms explaining the processes of sugar cane, coffee, and cheese. Talk about heights here! 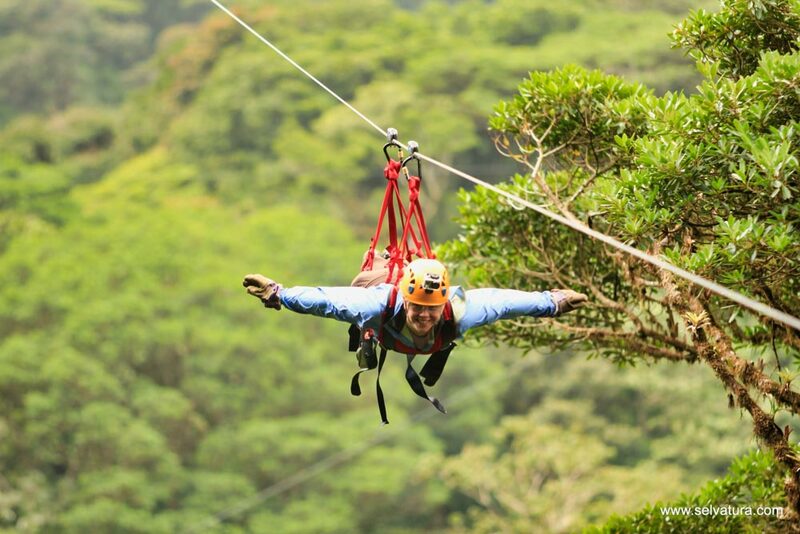 The best canopy tours, amazing hanging bridges projects, tree top climbing, horseback riding, ATV, and buggies. 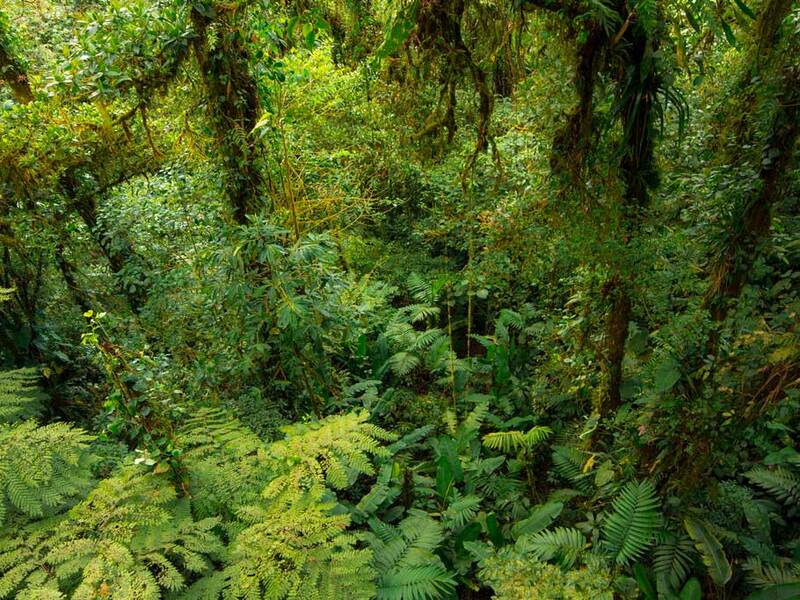 Also, probably some of the best strenuous hikes in a tropical cloud forest! 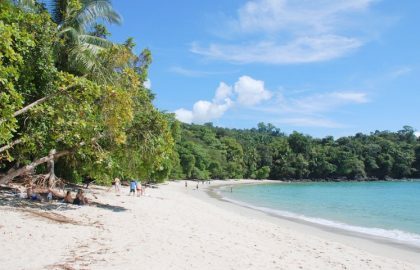 Monteverde Region is a very complete destination. Please contact us to include it in your itinerary!